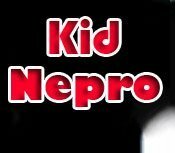 Kid Nepro has five sound libraries for the Korg Krome. Just click on the links below for more info and demos. Great new sounds that will pump up your Krome to maximum coolness! Sign our guest list and keep up with all our new releases and sound sales. Vol #1 - Vintage Synths - 64 Programs/16 Combis/32 MB Samples $49. Vol #2 - Electric Guitars - 16 Programs/8 Combis/32 MB Samples $29. Vol #3 - Soundtrack Mix - 64 Programs $29. Vol #4 - Studio Mix - 64 Programs/16 Combis/16 MB Samples $49. Vol #5 - Killer Keyboards - 64 Programs $29. SPECIAL BUNDLE - Get ALL FIVE VOLUMES For Only $125. Available in Korg PCG format via FREE DOWNLOAD delivery. KROME is the new standard for sonic excellence in a gigging musician's keyboard, providing a limitless palette of sound to bring vivid inspiration your music. KROME has a full complement of the features you've come to expect from a Korg workstation, starting with the 16-track sequencer. But there's much, much more. KROME comes complete with a rich suite of tools to jumpstart your creative urges. KROME borrows the impressive "German D Grand" that was created for the KRONOS flagship. In addition to the rich sound of 88 full-length unlooped stereo samples, damper resonance is also included. Krome contains several amazing Electric Pianos. Eight velocity levels have been used to ensure faithful response to the player's expression. In addition, the vintage amps, cabinets, and classic effects so important to these timeless sounds have been realistically modeled, ensuring that everything from the touch to the final sound will be utterly enjoyable. The built-in drum kits play a major role in song production on any music workstation. 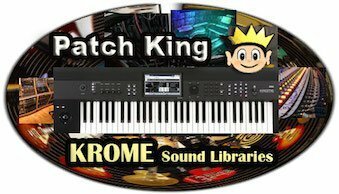 KROME contains the same "Jazz Ambience Drums" that can be found on the Korg KRONOS. Taking advantage of the high-capacity PCM memory, these sounds capture a dramatically high level of response and realism. Now that your finished exploring the factory sounds and want to add something new, you've come to the right place. Kid Nepro picks up where the factory sounds left off, bringing you the best new sound expansions for Krome. In addition to new programs and combis, the Kid Nepro Krome sound libraries contain new PCM Multi Samples that turn Krome into a powerful new synth with each Expansion library. Kid Nepro has been working with Korg's synths since 1985 and�has programmed sounds for nearly every Korg workstation since the groundbreaking M1 was released in 1988�- so we just wanted to let everyone know that we will be continuing our support for Korg's next generation workstation and creating several new sound libraries for Krome. Get on our mailing list and we will keep you posted with more details on what's coming for Krome. It's going to be awesome! Please contact us if you have any questions about any of our Krome Sound Libraries. How To Download & Load Sounds Into Your Korg Krome. More info on Krome can be found at�Korg's web site.